Maxima Engine Cool-Aide is formulated to reduce engine temperatures and provides significantly better contact on heated surfaces allowing for greater and more efficient heat transfer. Cool-Aide comes in two forms – A 64oz., Ready-to-Use bottle that requires no mixing or blending and in a powerful 16oz. Concentrate. Cool-Aide mixes with water and antifreeze. Cool-Aide is for race use and does not offer freeze protection. Approved for race use on paved surfaces. Maxima Air Filter Cleaner is a heavy-duty emulsion-type cleaner designed to thoroughly clean both foam and fabric air filters without damaging foam cells, paper or glue. Maxima Air Filter Cleaner will remove oil and dirt from air filter elements and easily washes out with water. Rated #1 by Dirt Rider magazine. Specialty, film forming lubricant designed to protect moving components and wear surfaces during assembly and initial break-in. Prevents metal-to-metal contact upon startup before adequate lubrication is supplied and offers excellent rust and corrosion protection during long service periods and storage. Quickly and easily mixes with petroleum and synthetic oils and will not plug filters. 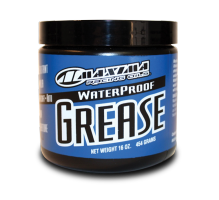 Fully formulated with high levels of anti-wear & extreme pressure additives and surface active chemistry to reduce friction. 2X Zinc activates at both high and low operating temps providing unsurpassed protection. Non-foaming. Maxima BIO Wash is a unique, biodegradable all-purpose cleaner. Fast-acting cleaning agents lift away dirt while scrubbing grime and oil based deposits. Specially engineered surfactants, lower surface tension allowing better penetration and wetting of soils. Tough on dirt, yet BIO Wash is gentle enough to use on delicate surfaces including paint, plastic, chrome, anodizing, rubber, carbon fiber and almost anything you throw at it. Safely and easily clean your equipment. Advanced micro chemistry protects aluminum, magnesium and other alloys. Contains no harmful acids, CFC’s or solvents. 50 State VOC compliant. User friendly formula cleanly washes from the surface. Be a responsible downstream user – Eco friendly formula is non-toxic and biodegrabable. 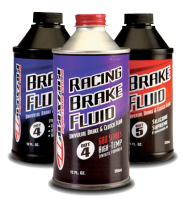 Maxima Brake Fluid is now available in SYN DOT 4 Hi-Temp, DOT 4 and DOT 5 Silicone. The racing grade has a minimum boiling point of 600°F which assures fade-free operation under the most severe use. All three Maxima Brake Fluids are advanced glycol blends with the latest additives to maintain your hydraulic brake and clutch system in top condition and prevent vapor lock. SYN DOT 4 Hi-Temp and DOT 4 are compatible with other DOT 3 and DOT 4 brake fluids. DOT 5 Silicone comes in an 11 ounce bottle. Maxima Hi-Test is a concentrated octane booster legal for all types of competition. Hi-Test is an all organic product containing no metal (lead, manganes or phosphorus) compounds. It readily mixes with all gasolines as well as alcohol and nitro mixtures. Hi-Test will suppress detonation and pre-ignition by modifying the burn rate and increasing the auto-ignition temperature of the air/fuel mixture. The use of Hi-Test in your gasoline will eliminate “pinging” and “knocking” and the potentially destructive results of them. It will allow for higher compression ratios and therefore more horsepower. Hi-Test should be used in concentrations of one to four ounces per gallon of gasoline. One ounce per gallon raises the effective octane number approximately four points, depending on the base gasoline octane. For racing or very high compression engines, or very low quality fuel, higher concentrations of Hi-Test may be required. Maxima Fuel Storage Stabilizer doubles as a fuel stabilizer and corrosion inhibitor. Not all brands offer protection from the harmful effects of ethanol and moisture contained in the fuel system. Maxima Fuel Storage Stabilizer conditions the fuel to help prevent the formation of lacquers and varnish caused by fuel degradation. Additionally, Maxima Fuel Storage Stabilizer fights corrosion within the entire fuel system – Keep your system protected. Use 1 oz. per every 1.0 – 2.5 gallons of fuel. Mix thoroughly. If in vehicle tank, run engine for 5 minutes after treatment. Long term storage of fuel should be in tightly sealed metal containers. Store away from heat or open flames.